MGMT. 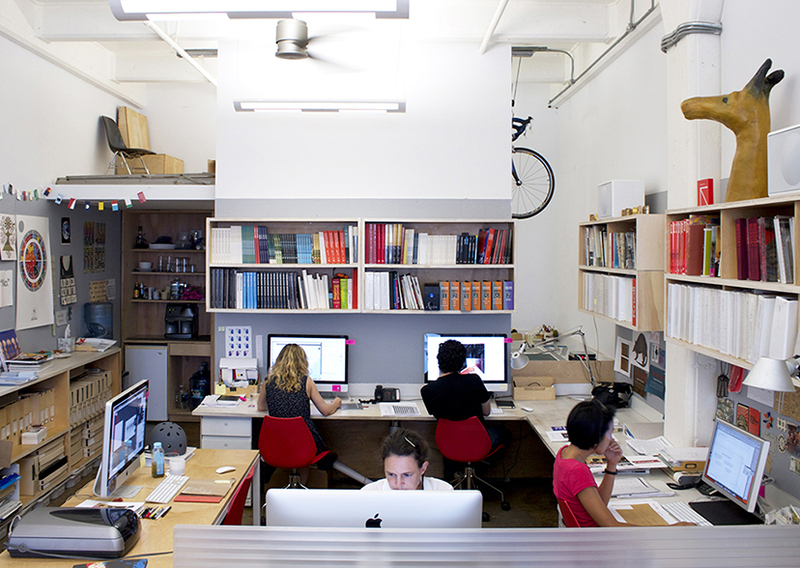 is a collaborative design studio based in Brooklyn. We approach all projects with substantive research and a conceptual rigor that is an integral part of our process. What we like most is taking complex information and translating it into visually effective and intelligent design solutions. Along the way, our studio has learned about topics as diverse as rotational grazing, international migrant populations, and the optimal temperature to grow collard greens. And despite our affection for the internet, we still believe books are for reading and love creating objects that are tactile and real. MGMT. design is an officially certified minority and woman-owned business (MWBE). Alicia Cheng is a founding partner of MGMT. She has worked as a senior designer for Method, New York and was the co-design director at the Cooper-Hewitt National Design Museum. She has taught and served as a visiting critic at Yale University, the Maryland Institute College of Art, Parsons School of Design, Barnard College and the Cooper Union. Alicia currently serves as an external critic for the MFA program at the Rhode Island School of Design and sat on the board of the AIGA/NY chapter and the Fine Arts Federation. She received her BA from Barnard College and her MFA from Yale University. Sarah Gephart was a senior designer and project manager at the New York design firm 2x4 prior to joining MGMT. There, she worked on numerous branding, collateral, interactive and book projects for cultural clients. Before 2x4, she worked at several New York City design firms. Sarah has taught at Parsons School of Design and was a lecturer at the Maryland Institute College of Art, Barnard College, the Rhode Island School of Design, and the Cooper Union. Sarah received her BA from Oberlin College and her MFA from Yale University. After years in New York, founding partner Ariel Apte Carter relocated to Minneapolis with her family. Her husband is prone to surprise visits to the studio. Rachel Griffin, Kyle Barron-Cohen, Emily Anderson, Lisa Maione, Eleanor Kung, Michael Brenner, Franklin Vandiver, Emma Sainz, Asad Pervaiz, Erola Boix, Tracey Chan, Marie Grunenberger, Tom Wilder, Hikaru Furuhashi, Martha Kang-McGill, Charlotte van den Bosch, Pilar Torcal, Olivia de Salve Villedieu, Sam Dal Monte, Federico Perez Villoro, Ian Keliher, Biba Košmerl, Sarah Mohammadi, Raina Wellman, Andres Sotelo, and Lauren Traugott-Campbell. We love you guys. And a ginormous thank you to Mr. David Reinfurt for his techno wizardry and overall support.